When you driving through Connecticut on your road trips, consult with this guide so we can help you decide where to stop. We can help you maximize your trip by telling you the must see destinations in the state. Mystic Aquarium in CT is absolutely the best destination for your road trip adventure. Spending the day is certainly fantastic here. A one of a kind place that will give a pleasurable experience that you will never forget. Drop by the place and make amazing memories with your families and friends. Mystic Aquarium in CT is such a nice place. With live encounters with creatures, it is definitely fun. 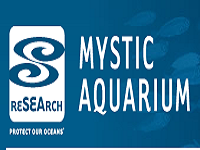 Discover a lot of things and make an amazing road trip experience at Mystic Aquarium in CT. Visit their museum daily from 8 am to 7 pm. Have fun! Have the best road trip experience for both you and your family and spend the best day at Quassy Amusement Park in CT, a certified perfect place to make good memories. A wonderful destination that has all the exciting adventures you could have such as their nature park attractions, rides, and bay water park. So don't miss the fun and visit them and make the most out it. You can check out their amazing offers on their calendar and look for an available schedule. 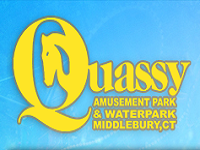 Make Quassy Amusement Park in CT the perfect destination for your road trip experience for they certainly guarantee a most exciting road trip adventure. Be there! 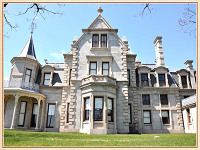 Have a nice moment of exploration on your road trip and visit Lockwood-Mathews Mansion Museum in CT, a place where you can perfectly have the chance to view a most historic house that has been part of the history of Connecticut. A fine experience to view the perfect illustration of an artistic and splendor beauty of Victorian Era. Tours are offered every Wednesday through Sunday at noon, 1 pm, 2 pm, and 3 pm. The mansion will point out and explain the very details of why the family intended to built it. An absolutely perfect spot on your road trip experience is offered only at Lockwood-Mathews Mansion Museum in CT. Ocean Beach Park has become one of Connecticut's boardwalk attractions. With the cool blue color of the ocean, who would not want to spend the day here? A perfect destination for your pleasurable road trip experience is absolutely guaranteed. 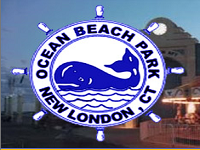 Bring your family and friends to Ocean Beach Park in CT and enjoy your stay. Don't miss their exciting offers such as 5the 0 meter Olympic swimming pool, spray park, nature walk with observation deck, and many more adventures to choose from. Let them make the best moment during your road trip expedition because Ocean Beach Park in CT is always the best choice. Are you on your way to make a very memorable road trip experience? 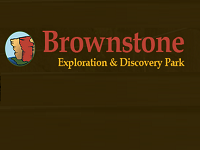 Well, Brownstone Exploration & Discovery Park in CT is absolutely an amazing place to start your destination. Offering the best kind of exploration and different adventure moments, you will certainly have a great time. Don't miss their special offers served at their best. Why waste time? Visit Brownstone Exploration & Discovery Park in CT now to have a perfect road trip experience. Set your schedules now and go for the best adventures of your life for they will certainly ensure a wonderful time during your road trip. 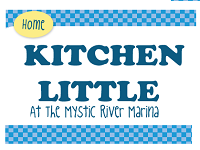 The best road trip place to be is always at Kitchen Little in CT where you can enjoy great offers. You can have the best delicacies at very affordable prices and you will certainly love everything about the place. The cool ambiance and perfect view of the ocean is absolutely amazing. Planning a road trip with friends and family? Why not make Litchfield Hills in CT the main destination? 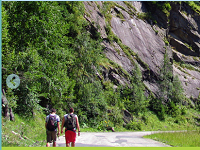 You can enjoy the scenic view and wonderful stops such as dining restaurants and lodging houses. It is the best place to spend an extraordinary leisure. Make a turn onto Litchfield Hills in CT now and enjoy the pleasurable time of your most amazing road trip. Unwind and relax at their conveniently beautiful sites. Have fun, because Litchfield Hills is the best choice when hitting up the road. Visit The Mark Twain House & Museum in CT and discover the story behind the historical beauty of the place. A perfect stop on your road trip adventure is surely at its finest. Visit the house and learn a lot of things that can add thrill to your exploration. 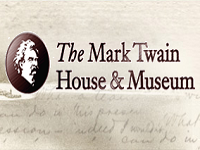 At The Mark Twain House & Museum in CT, the most wonderful preservation of Connecticut's most treasured cultures will absolutely be completed in just a single tour. Visit the museum now and add the destination to your road trip experience. One of the best spots for the most wonderful exploration on your road trip experience is brought to you by The Barnum Museum in CT. It is a great way to have a good time while learning and discovering things from their museum. Take part in their amazing exhibits and peek inside the place and see a lot of things that will surely amaze you. You can check out their calendar for more updated events and upcoming exhibits every Thursday and Friday from 11 am to 3 pm. 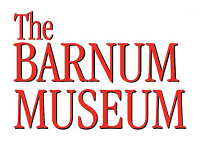 Be there and make The Barnum Museum in CT one of your destinations on a wonderful road trip. 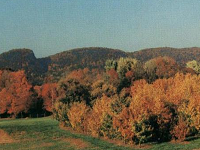 At Sleeping Giant State Park in CT, you can absolutely enjoy the majestic view from the road of Hamden, an extraordinary feeling that will surely positively lift your mood. With its beautiful features, you will absolutely be amazed. Make a stop at Sleeping Giant State Park in CT and have the best experience of exploring the significance of the place and the history of Connecticut. It is a great way to have the best learning adventure during your exciting road trip.